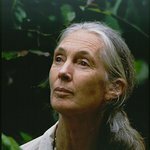 Internationally renowned ethologist, Dr Jane Goodall, DBE Founder – the Jane Goodall Institute and UN Messenger of Peace – has joined animal protection groups in Germany, the UK and France (Ärzte-gegen-Tierversuche e.V. , Cruelty Free International and One Voice) in welcoming an end to the controversial neuroscience experiments on monkeys at the Max Planck Institute for Biological Cybernetics (MPI) in Tübingen, and is calling for the surviving monkeys to be released to a sanctuary. In recent years, MPI has found itself at the centre of media and public controversy following a long running campaign by Ärzte-gegen-Tierversuche e.V. In 2014, MPI was the subject of harrowing undercover video footage that revealed the immense suffering of primates, who were forced to take part in neuroscience experiments using severe water deprivation and physical and psychological coercion. Two years later, in 2016, MPI announced that it would end using primates in these controversial experiments. Despite an initial move by MPI to try to place some of the surviving monkeys into a sanctuary, no information on the actual fate and whereabouts of the surviving animals has been made public. It is feared that MPI has sent at least ten monkeys to other laboratories in Europe to continue to be used in experiments. One Voice, Ärzte-gegen-Tierversuche e.V. and Cruelty Free International have submitted a request to Mr. Klaus Tappeser, President of the administrative district of Tübingen, requesting information on the current whereabouts and fate of any of primates who were held by MPI in November 2016 be released.